After the recording of Amon Duul's "Yeti", Dave Anderson leaves the band to join Hawkwind. Dieter Serfas and Christian Shart do the same and decide to form their own project called Sameti in Munich in 1971.. Their first album released for Metronome in 1972 is a great mixture of Hawkwind and Amon Duul trippy styles with long psych improvisations and a couple of more structured heavy rock songs. For this first musical essay the band features members of Embryo and Amon Duul with special guests as Robert Eliscu (Popol Vuh) and Jurgen Benz. Recorded in 1974, "Hungry For Love" marks many changes in sound, the band abandons their free-form spacey rock for a conventional heavy rock'n roll. This one announces the end of the band's career. Sell your SAMETI items on eBay ! 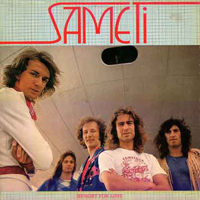 Sameti was a Krautrock band formed by former Amon Duul II percussionist and occasional vocalist Christian "Shrat" Thiele. The band's self-titled debut is a combination of Shrat's former band's sound with some hard rock riffage, as well as some jazz. While some Krautrock purists may scoff at this concoction, it actually works, overall. Shrat's vocal performance is inconsistent, working well at times, and at other times quite cringe-worthy. His voice remains an acquired taste to put it politely. But, as with most Krautrock, the vocals are not the strong point, nor the focus of the music. The opener, "Get Up," sounds like Amon Duul II with a bit more rock swagger, features some groovy percussion from Shrat, and is quite catchy. The song works in that it retains that off-kilter, awkward feel of many Krautrock bands, while adding something new to the mix (for the time, anyway). Shrat's vocals actually sound decent on this track as well. This is not the case for the next track, "The Useless Appendix." The song itself is a decent rock track with lyrics that seem to be attacking the generic rock bands of the time and their ridiculous outfits. But the vocals are rough. Next up is a great track called "Big Fat Brother Joint" which kicks in with a nice guitar riff-led jam accompanied by Shrat's graceless vocals. This actually sounds pretty good, despite the singing performance, and continues for about 3 minutes before the song switches gear a bit. The electric guitar riffing switches to acoustic strumming while the bass continues the original riff. A sax solo kicks in, and now we have a jazz jam! The acoustic guitar also shares some soloing with the sax, adding some nice variety. The jam continues on for about an additional 5 minutes before fading out - a very nice surprise on my first listen! "To My Confidential Lady" follows and is a slower-paced psychedelic rock tune that is pretty good, and Shrat does an adequate job vocally here as well. The album closes with "Anotherwaytosee Improvisation," a 22 minute Krautrock jam evoking ADII's tripped-out style improvisations. The bass line that the jam revolves around slightly reminds me of Santana's version of "Gypsy Queen" that closes "Black Magic Woman." It's a slower pace and less intense than "Gypsy Queen," and way more trippy and spaced-out. Shrat vocalizes over various points in the jam, while the guitar slithers lines across the musical atmosphere. It may get a little tedious for some, but if you like ADII's improvs you'll like this. I feel that, as far as Krautrock goes, this is a solid effort. It may not be held in too high regard by other progheads looking for instrumental gymnastics and superb vocal aerobatics, but for Krautrock connoisseurs this may just be up your alley. I believe this is a 3.5 star album if you are judging it within its genre, and I am rounding it up to 4 because it think it deserves more credit than it seems to get. 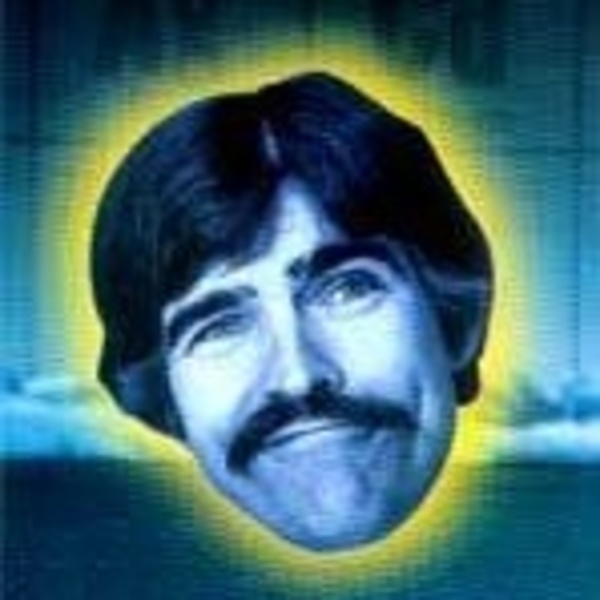 Oh, and what a great album cover! Second album by Munich formation SAMETI has to be the worst album of 1974 released by any Prog or Krautrock band. I could rather imagine it being an average one by any late 70's / early 80's no name punk band. Far its time ahead if considered this way, but who really cares? I can just advice any Krautrock fan to stick to their debut album and keep hands off this one. For Motorhead fans only (if at all)! 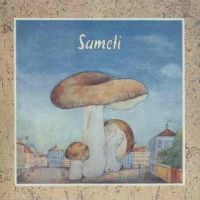 SAMETI, that's another band project from my hometown and yet another one related to EMBRYO but more strongly to AMON DÜÜL II which is strikingly proofed by the style presented on their debut album here. The material offered here can be described roughly as highly drug-inspired free-form and hard-edged space rock that is KRAUTrock in its real literal sense if choosing its meaning of weed. First side of the original vinyl contains four quite well-done loosely-structured tracks with great dual guitar and some occasional sax solos. The only point I can grumble about is Shrat's vocal performance that I found already annoying on A.D. II's stuff, quite awful I've to say but that's probably a matter of taste. Side two is occupied by the 22 minute improvised piece "Anotherwaytosee" which is really remarkable and wouldn't have been out of place on "Tanz der Lemminge" for example. I wouldn't call this band necessarily an excellent addition to any Prog collection but anyway I'd recommend it to all Krautrock afficiados and in particular fans of Amon Düül.